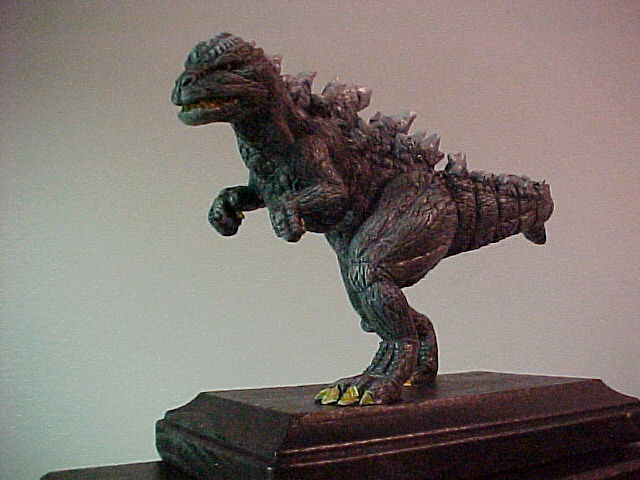 Guys, I can’t wait for the new Godzilla movie come from Toho this year! Squirrel Girl (and Tippy Toe! ), Spider-Gwen, Ms. Marvel, and Batman reliefs. Thanks to everyone who visited! 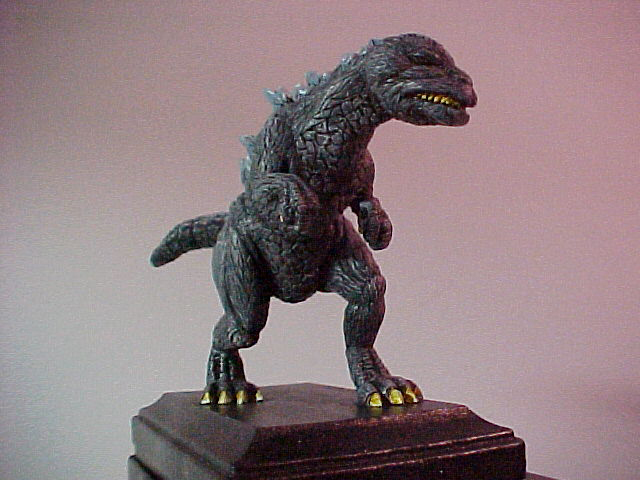 Godzilla’s true name is GOJIRA, a contraction of the Japanese words for “gorilla” and “whale” (much like MAGNITUDE’s name is a contraction of “Magnetic” and “Attitude”). 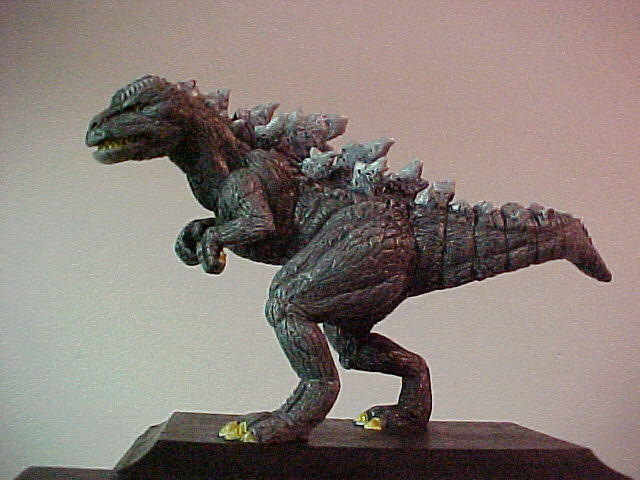 My variation on big G was done for a Kaiju fan in an internet Secret Santa exchange. 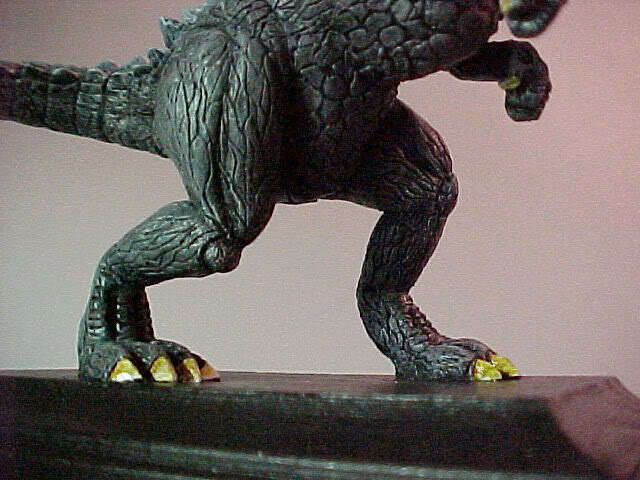 I wanted to incorporate a few more theropod dinosaur features while still keeping him recognizable (something the 90s American movie failed to do). Overall I think it worked so-so. I’d like to take another shot at him sometime. 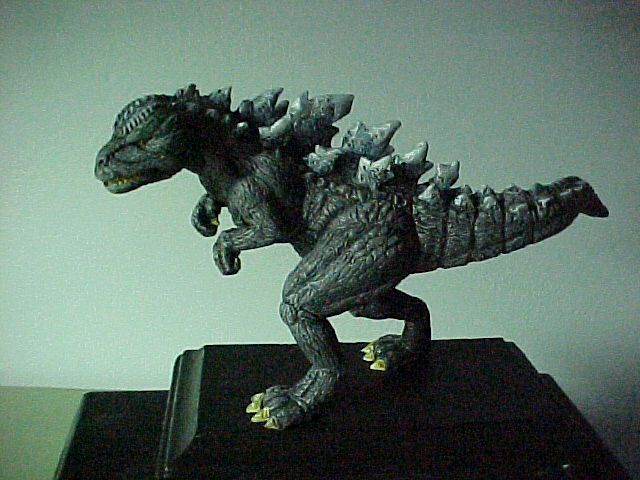 Please don’t let the lighting fool you: this Gojira is the proper charcoal gray with no green in him.